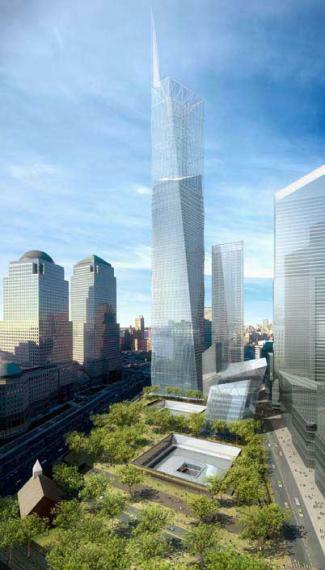 The World Trade Center in Manhattan is being rebuilt as a grand urban center for the 21st century, with five new skyscrapers, the National September 11 Memorial & Museum, a transportation hub, retail complex and performing arts center. Construction on all projects will be completed by 2012. WM Group was selected to provide detailed design and construction documents for a central chilled-water plant and distribution systems to serve much of the center - a task requiring extensive coordination with the design teams of the many other construction projects across the site as well as consideration of environmental concerns. Collaborating closely with the numerous other design teams, WM Group produced plans for a new 12,500-ton chiller plant, located within the Memorial & Museum, which will utilize water from the Hudson River. The firm also designed the renovation of a river water pump station, inactive and corroded since Sept. 11, 2001, plus a distribution network that will run through various stakeholder spaces on the World Trade Center site.